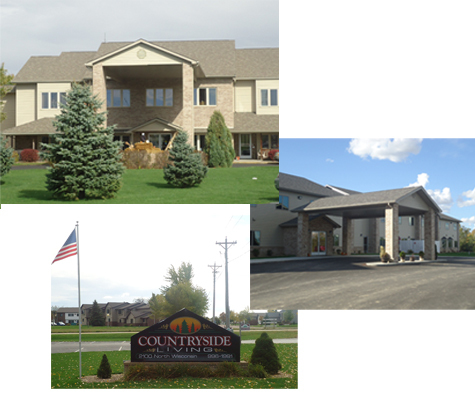 Countryside Living is an independent & assisted living facility. We provide 24 hour staffing, 3 meals per day, weekly housekeeping and free transportation. Our facility is located on the north end of Mitchell within a beautifully landscaped setting close to grocery stores, a pharmacy and a shopping mall. The atmosphere here allows seniors the opportunity to enjoy their lives without having to worry about the hassles and stress of owning their own homes or living alone. Our community includes both independent and assisted living apartments. You will be pleased with how spacious and homey they feel.